Today is the day to sign-up for the FanU The Red Swap! 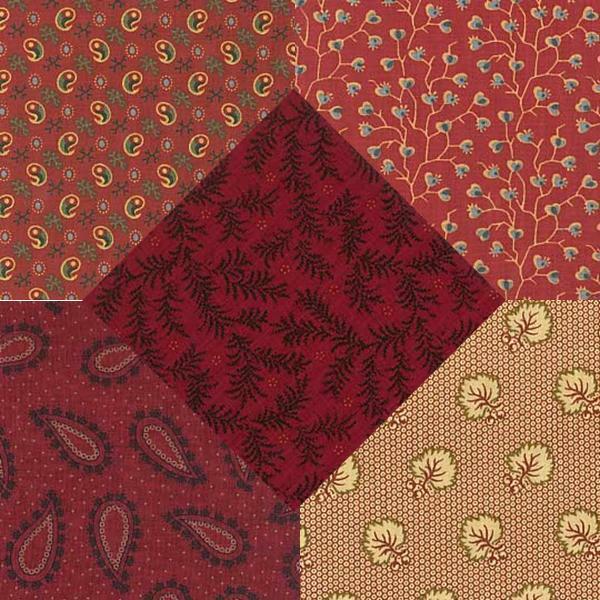 For Red Swap, we will exchange Red color fabrics from the 19th century. We will mail our fabrics on February 28th. Place a 9×9″ piece of fabric suited to the mid-19th century in envelopes for each of the 7 other people in your swap group, stamp them (be sure to double check at the post office, but the small 9×9″ pieces should mail in a regular envelope with a normal stamp),8 and send them off no later than the Mail-Out Day. Anna, I’m in for one swap, please. I’m in. I can do two groups if you need me to. Anna, Judith, Geri, Trisha, Eileen, Kay, Jean and Beth. Sign me up for this swap also. Thanks. I’m so sorry, Leanne. The Blue Swap starts on the 20th. Anna please include me in the blue swap on the 20th! I will try to keep an eye out for the invite! But in case I don’t see it!